← SPRING SLAMS!!!!! REDFISH SNOOK AND TROUT!!!!! SNOOK SEASON IS OPEN AND BITE IS STRONG!!!! 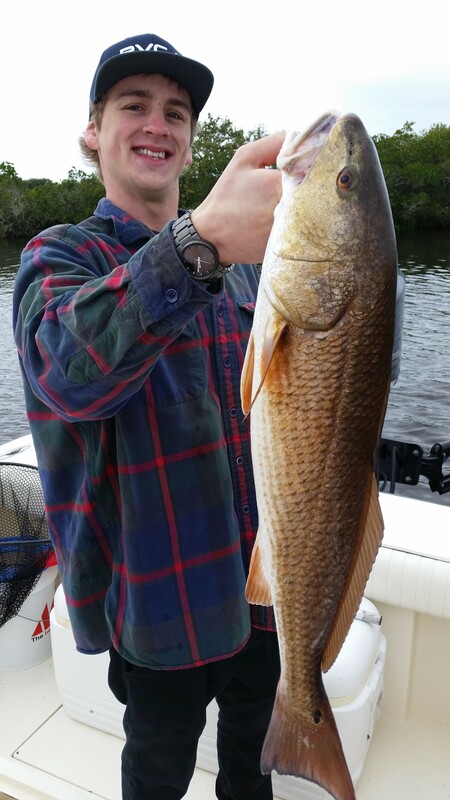 Reilly with his first oversize Redfish!! these are both a battle all the way to the boat and make delicious table fare!! Early spring fishing season in full swing with the mild cold fronts that have been passing through. These changes in barometric pressure have the game fish turned on and very hungry. Even with water temperatures fluxtuating from 70*F to 77*F the fish are very active, ensuring to have a great day on the water, find protected areas on the high tide of the day and work it well, North facing shorelines also heat up faster as the rising sun beats on them all day, with daylight saving time approaching these temps won’t last long ! There are plenty of large Trout around even on the coldest of day’s, small pinfish or even better fresh live scaled sardines work well and are available in different sizes to “match the hatch” along with a number of artificial baits, like a 1/4 oz jig with a green and white 3″ paddle tail pogy or gulp shrimp in new penny and natural imitation work for me. Our migratory baitfish run has been strong in New Port Richey, Tarpon Springs, and Clearwater areas. 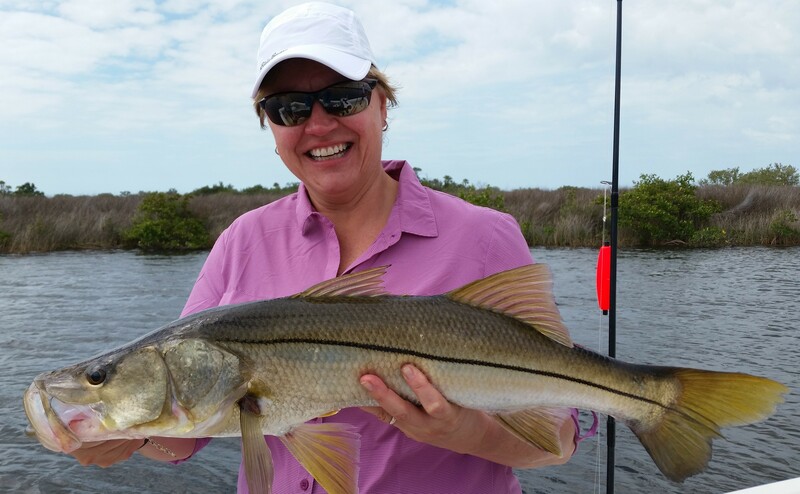 Snook are found in the creek mouths and all estuary systems and are willing to commit when a properly presented Sardine gets in their feeding stations. On the nearshore fishing Reef’s and Wreck’s there are sign’s of the Spanish Mackerel, King-fish, American Red Snapper, Greater Amberjack and Jumbo Cobia!!! As the water cleans up and water temperatures rebound with the passing of these fronts. Massive amounts of threadfin herring are pouring in by the acres! If you’re looking to book a trip of a lifetime… NOW IS THE TIME!!!! 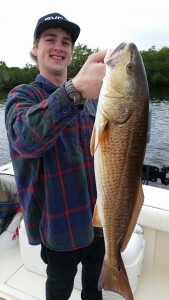 This entry was posted in New Port Richey fishing charter, New Port Richey Fishing guide, Red-fish fishing charters, snook fishing charters, Snook Fishing Guide, Spotted Trout Fishing, Tarpon Springs fishing Charter, tarpon springs fishing guide, Tarpon Springs Flats Fishing Charter, West Central Fl. 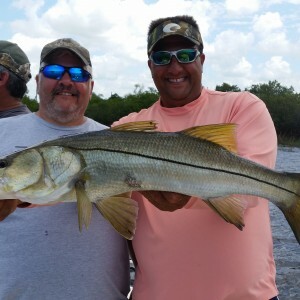 Fishing Charters and tagged backcountry fishing, deep sea fishing, fishing charter, Fl.Gulf Coast Trout fishing, florida flats fishing, inshore fishing, Nearshore fishing charters, New Port Richey fishing charter, snook fishing charters, Spotted Trout fishing charter, Tarpon Springs fishing charter, Tarpon Springs Fishing Guide, Tarpon Springs Snook fishing, West Central Florida Gulf Coast Guide Service. Bookmark the permalink.